THE STORY - Former Special Forces operatives reunite to plan a heist in a sparsely populated multi-border zone of South America. For the first time in their prestigious careers, these unsung heroes undertake this dangerous mission for themselves instead of the country. But when events take an unexpected turn and threaten to spiral out of control, their skills, their loyalties, and their morals are pushed to a breaking point in an epic battle for survival. THE GOOD - The cast of actors are really exciting and everyone delivers a solid performance. J.C. Chandor's direction with the action sequences is ridiculously exciting and is the approach more action filmmakers should take. ​"Triple Frontier" is an action film that has plenty of action, loads of emotion, and a simple but entertaining story. While the story is something that is a bit familiar, director J.C. Chandor (“Margin Call” & “A Most Violent Year”) delivers on a pretty high level. The cast of actors are ridiculously exciting with Oscar Isaac, Ben Affleck, Pedro Pascal, Charlie Hunnam, and Garrett Hedlund. J.C. Chandor's direction is handled almost flawlessly that anyone who directs a military-like action film should attempt to follow in his footsteps. All in all, "Triple Frontier" is much better than it leads on and its missteps are pretty minor. After hunting down a drug lord named Lorea in South America for the past three years of his life, Santiago Garcia (Oscar Isaac) finally has Lorea cornered. Discovering his location and preparing to strike, Garcia recruits four of his former Special Operative military friends to kill Lorea and steal the mass fortune he has gained. All four since retired, decide to take on Garcia's mission simply for the paycheck he promises. However, the mission proves more complicated and lethal than initially planned. The story is a simple one but it offers up plenty of moments for Chandor and company to work in some intense moments both emotional and action wise. The characters that the project is based around are all much more layered than your typical action movie. Instead of just silly motives and ridiculous moral standards, (though there are some characters who do fit this cliche), they all have understandable motivations for why they carry out the mission. 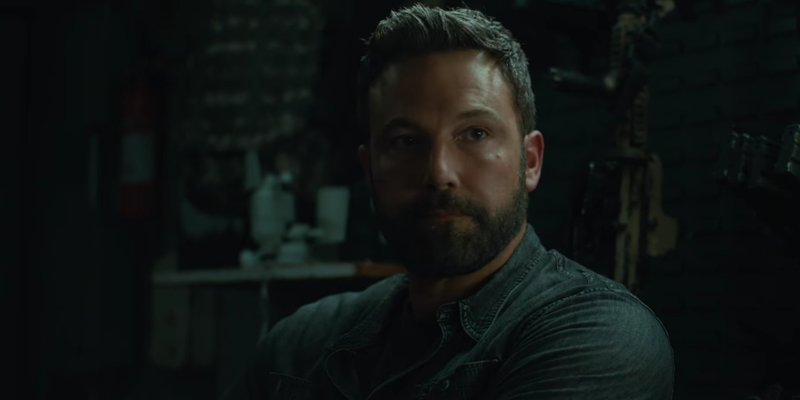 Ben Affleck's character is the most fleshed out of the five main leads and his arc contains the most emotional moments. His character is troubled and deeply disturbed in a life where he is slowly losing his will to keep on living. The mission that Santiago invites him on is a chance to redeem everything that has forced him down this hole he has dug for himself. While this may be a pretty standard character, it's got a bit more depth than your average "action movie star." Something that "Triple Frontier" does a lot better than most action films nowadays is show off the elements of its genre with pure clarity. While a lot of action movies are focused on the jumbled, shaky camera movements and trying to place a thousand different cuts into one simple scene (we're looking at you “Taken”). Chandor shows his action with a locked-down camera and crisp depth of field. There are a few small moments where he does utilize the handheld style camera but it is not used without care. The handheld, when used, is meant to add to the intimacy of the action scene. Instead of operating like an amateur is holding the camera body itself, it moves with fluidity and grace. It glides through the environment with a reasonable amount of edits. Those edits are used in a similar way as the camera, giving us only the needed information. The only true drawback to the film is that the momentum comes to a screeching halt in the third act. The first act is meant for strictly nothing but build up and small character moments. This way we can connect with the five main characters and understand why they are doing what they are doing, as well as prepare us for the coming threats. The second act is all flair, with nothing but exciting action and exciting drama between the already established characters. But the third act, instead of wrapping up the entirety of what we've seen in an interesting or different kind of way, sort of just stops. The action, the drama, it all slams completely on the brakes and we sadly just kind of yawn our way to the last few moments of the film. The story is very straightforward but towards the end, it takes some routes that are not necessarily expected but they just don't seem to fully work within the world that was created and established during the first two acts. Overall, "Triple Frontier" is just a blockbuster, popcorn style action movie and that is totally okay. Although the story is basic and the third act loses all of its steam, it still has several exciting and interesting moments of character and action, backed by a stacked cast of macho tough guys. The action sequences are treated with fluidity and grace, making them all the more exciting than just the standard hectic and chaotic approach we see in other studio action blockbusters. The characters are more developed and layered than your average action film also (The screenplay was co-written by frequent Kathryn Bigelow collaborator Mark Boal), "Triple Frontier" is a fun ride that offers quite a bit to enjoy and chew on, making it a pretty solid effort from Netflix.